"With only two ingredients, this is the easiest recipe ever! It is also so versatile--use it to dip breadsticks, mozzarella sticks, calamari, or as a substitution for pizza sauce. Serve cold or warm." 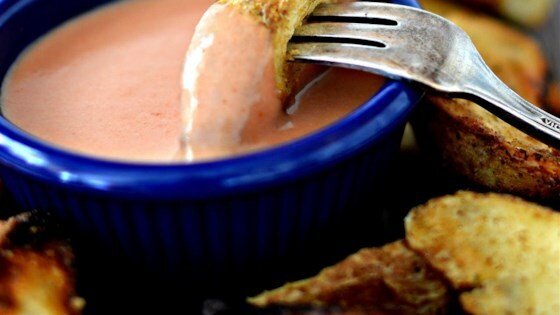 Mix tomato sauce and ranch dressing together in a bowl until combined. See Chef John make a perfect dipping sauce for fried or baked chicken tenders.